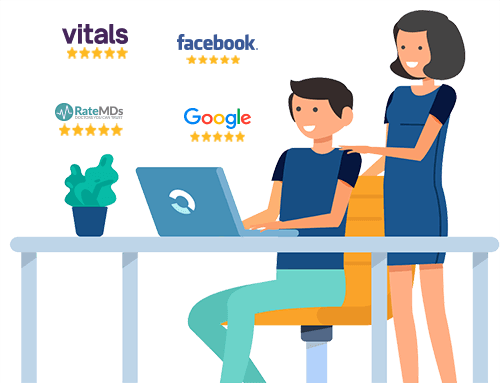 Manage your online presence with RepuGen’s proprietary reputation management software that will get your patients posting positive reviews online about your practice. 40% of people will choose a dentist based solely on his/her online reviews. Don’t let your few unhappy patients distort your online reputation from reality. Get your happy patients talking to ensure your image is accurate. RepuGen is a top online reputation and review management software that provides a simplified solution to monitor patient sentiment and improve your dental practice’s online reputation. Send patients to your website automatically to share their reviews. Get the opportunity to address unhappy patients instantly, so you can clear up any confusions or miscommunications before they're led to review sites. An accurate reputation equal more new patients visiting your office. 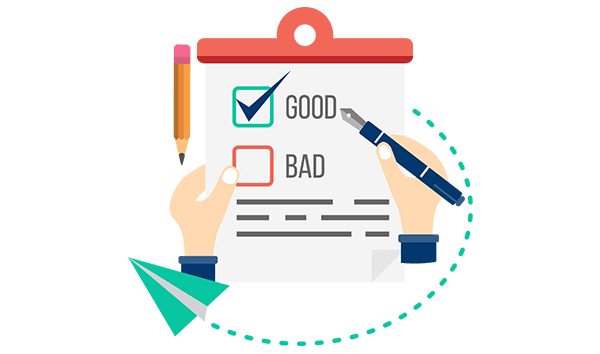 Online reviews significantly affect the position you appear in online search results. Reviews on third party sites like Yelp, RateMDs, and HealthGrades are tools Google uses to apply where your site ranks compared to your competitors. Better reviews are more likely to appear near the top. Don’t end up like dental practices that become inactive online with no reviews, or have mostly negative reviews. It’s never too late to improve your reputation and improve your position over the competition. With RepuGen, you’ll earn consistent positive reviews, emphasizing your fantastic service at the first touchpoint of an online search. 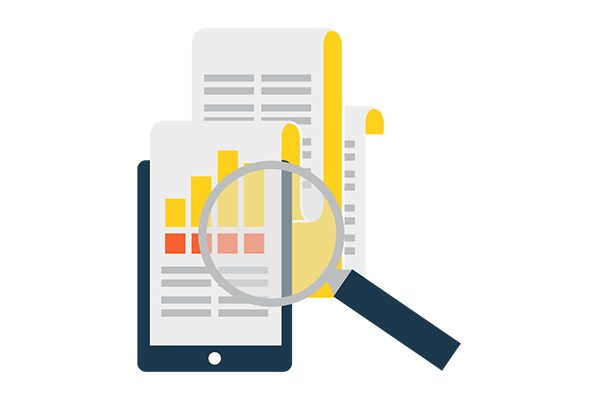 Even for patients who don’t post online reviews, RepuGen collects and compiles all data into easy-to-read, printable reports in real-time to measure and improve patient satisfaction. 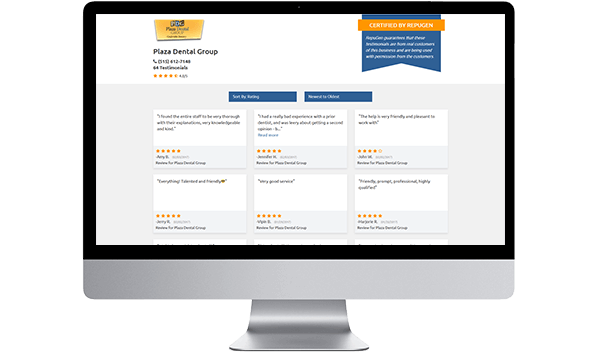 Let patients rate and provide feedback on your dentists (if you have multiple within your practice) for a deeper level of insight on the performance of your staff, allowing you to locate and address problem areas. Some patients will write incredible testimonials that never make it to a review site -- as we can’t force people to write reviews. RepuGen makes sure that those testimonials aren’t wasted. 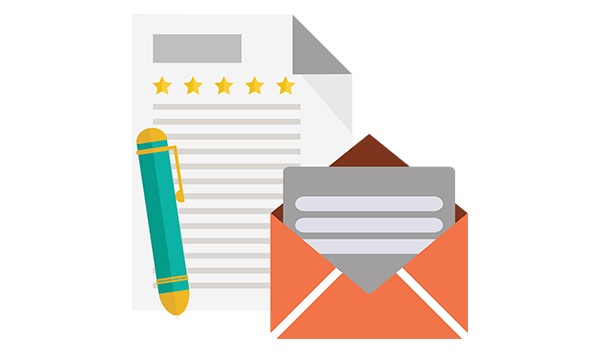 With their permission, a happy patient’s written feedback will populate your public testimonial page that you can easily paste to your website. 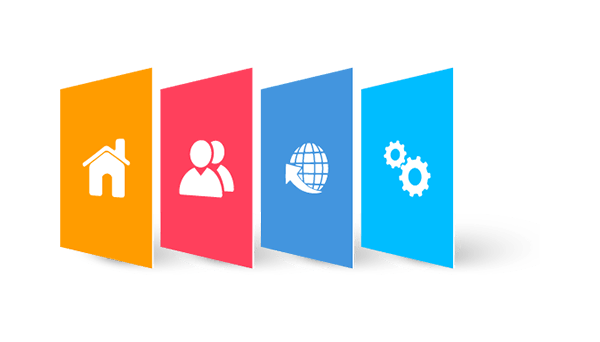 You have full control over which testimonials will appear on this page. Dentistry has diverse needs and services. We go the extra mile to have our reputation software meet your specific needs. This flexibility joined with customer specific service from our representatives ensures you are always getting the best return on your investment. Start Building Your Reputation Today.